If you want to take complete advantage of digital cable and satellite signals, you need more than just a DVR to do so. While devices from your provider, a TiVo or an HTPC can provide HD quality video content, most HDTVs can't help when it comes to playing back 5.1 channel surround sound. For that, ​you'll need an A/V receiver. Here we'll cover the different ways to connect your DVR to your other home theater equipment to give you not only the best picture but the best sound quality as well. HDMI, or High-Definition Multimedia Interface, is a method of using one cable to digitally transmit both audio and video information. This single cable allows you to connect your DVR to your A/V receiver and then to your TV. The sound is handled by the receiver which then passes the video on to your HDTV. Because you only need a single cable between devices, HDMI is one of the easiest methods for getting the highest quality audio and video to your equipment. While it is certainly the easiest, it can also present issues. If not all of your equipment has HDMI available, you'll need to use different connections between all of your equipment. The vast majority of A/V receivers can't convert digital to analog. If you have an older TV that only has component inputs, you'll also need to use component cables between your DVR and A/V receiver. 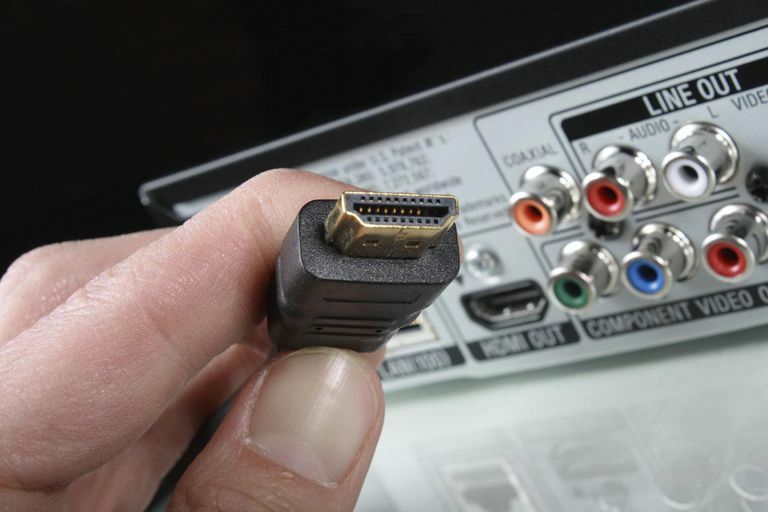 A second method of connecting your DVR to your A/V receiver is to use component cables for video and an optical cable (S/PDIF) for audio. While using component cables means a lot more wiring, it is preferable from time to time, especially with older equipment that may support HD but not have HDMI connections. The optical cable will provide you with digital 5.1 audio if it is provided by the source you're watching at the time. Luckily, you'll only need a single optical cable as you can run it directly to your A/V receiver. There's no need to connect the audio to your TV since you'll be using the speakers connected to your receiver for playback. Though two very different connectors, coaxial and optical do the same job. Each will transmit the 5.1 channel surround sound provided by a cable or satellite provider to your A/V receiver. You'll still use component cables to transmit the video from your DVR to your receiver and then on to your TV. When it comes to HD video, you have several other options depending on the equipment in your home theater. Some HDTVs and A/V receivers provide a DVI connection, more typically found on a computer. VGA can also be an option depending on your equipment. For audio, HDMI, optical and coaxial are really the only options available when it comes to 5.1 surround sound. It is possible to connect your A/V receiver to other equipment using individual connections for each channel but these are rarely available on consumer DVR systems.